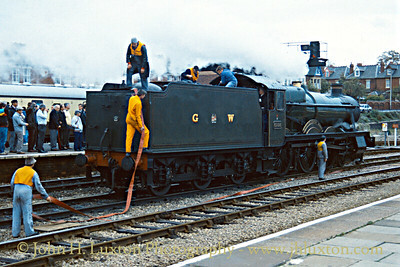 BURTON AGNES HALL seen being serviced whilst operating the Red Dragon Railtour at Hereford Station. 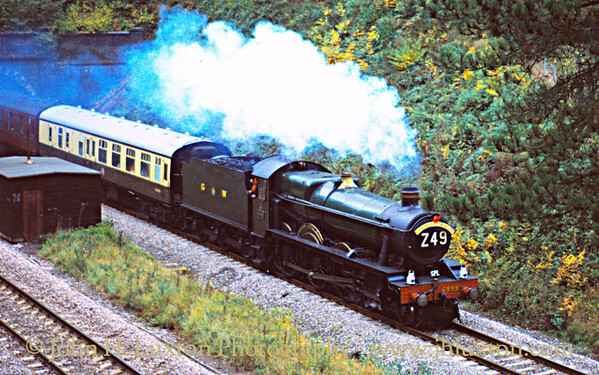 92207 MORNING STAR - built at Swindon in 1959 was one of the last batch of 9F locos to be built. 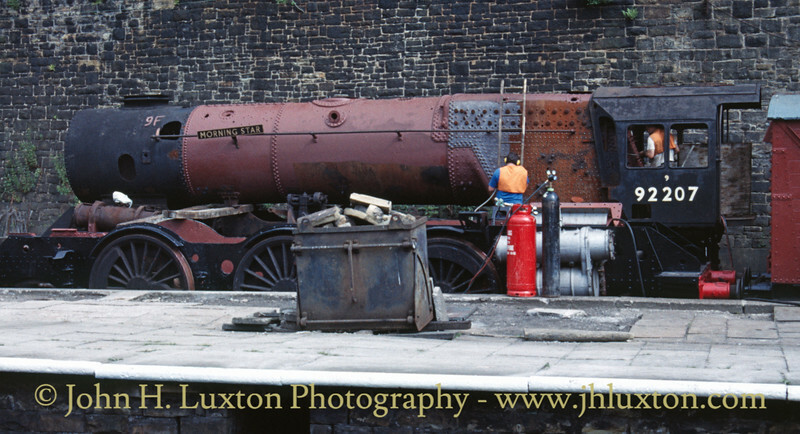 She is seen here at Bury Bolton Street on the East Lancashire Railway on July 23, 1989. 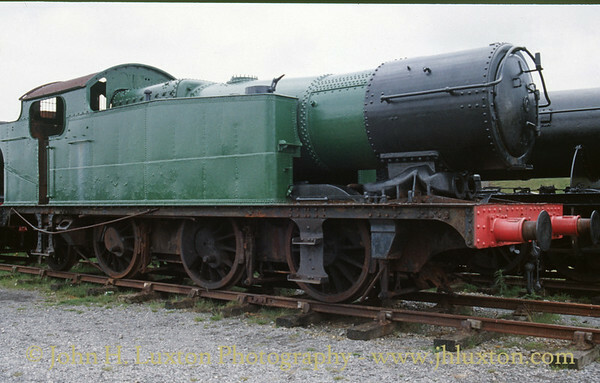 In 2005 she was moved to the Somerset and Dorset Railway site at Shillingstone where restoration continues. 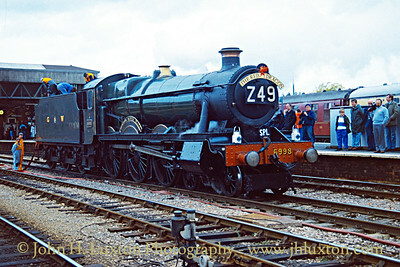 After spending 21 years in storage at the P&B railway the locomotive was moved to the West Somerset Railway. 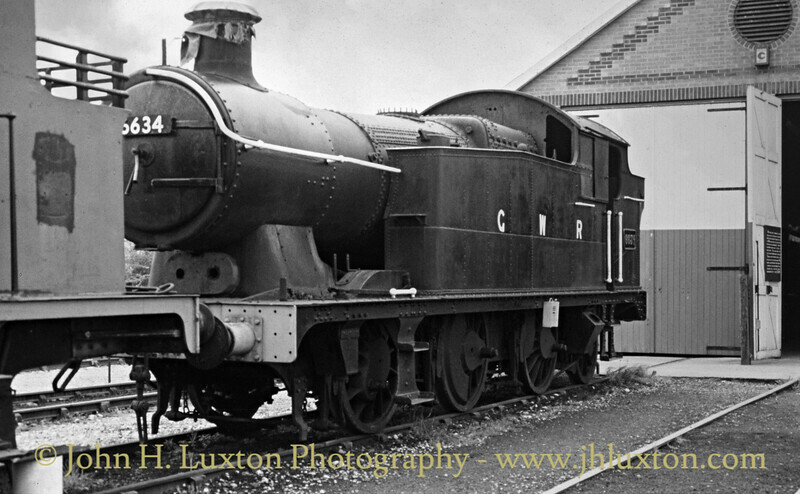 She is now at the Gloucester and Warwickshire Railway but has yet (2017) to be restored to working order. 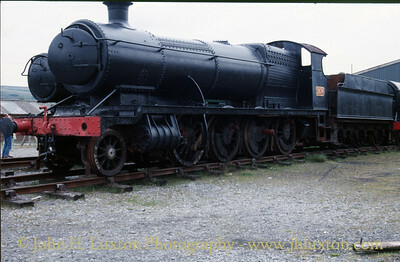 BICKMARSH HALL 5967 seen whilst stored pending restoration at the Pontypool and Blaenavon Railway in 1989. 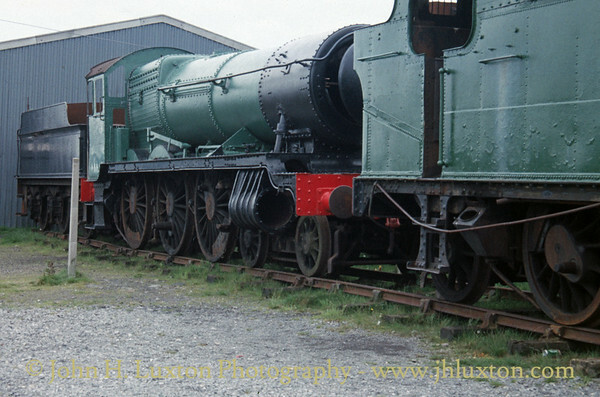 She is now (2017) undergoing restoration at the Northampton & Lamport Railway. 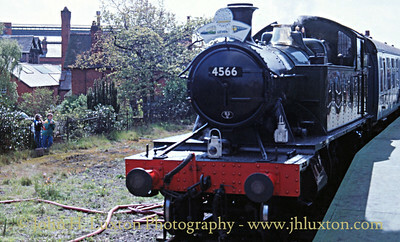 Great Western Railway 4566 at Port Sunlight Station during the Lever Brothers Centenary Weekend held on May 03, 1988. 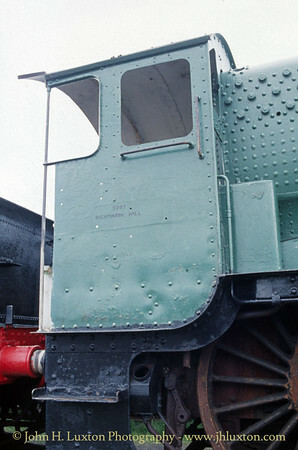 She operated a train over the Lever Brothers internal railway system. 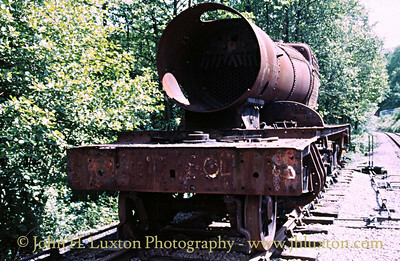 Locomotive seen awaiting restoration at the East Somerset Railway at Cranmore. 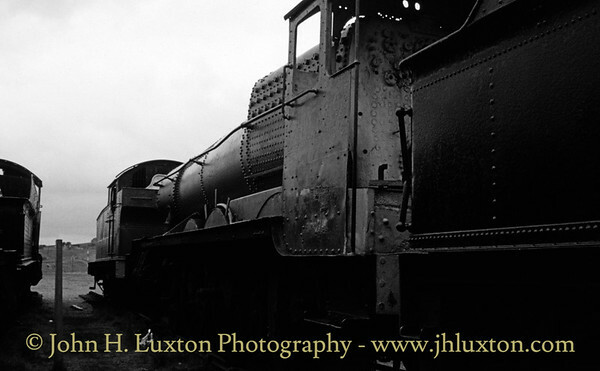 Today, 2017, the locomotive remains in unrestored condition at the Severn Valley Railway. 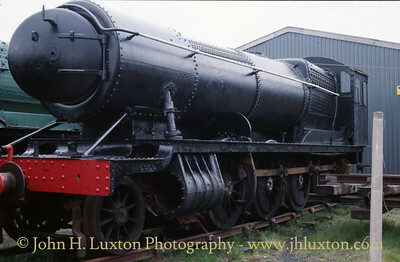 It is now owned by the Waterman Railway Heritage Trust.